Sweet Potato or Yam? What’s the Difference? | This RD Eats! Registered Dietitian: Eating My Way Through Life! Sweet Potato or Yam? What’s the Difference? What’s in a name? When it comes to the yam, there is a bit of confusion. The truth is what you’ve been calling a yam is most likely a sweet potato. Even more, it’s possible that you’ve never even tasted a yam! of sweet potatoes. So where did all of the confusion come from? 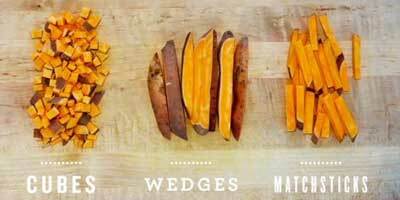 Let’s break down the main differences between yams and sweet potatoes! our quiz and test your root knowledge! SWEET POTATO, YAM OR BOTH? 1. I am a tuberous root with sweet moist flesh. 2. I am originally from Africa and seldom sold in U.S. markets. 3. I am super sweet and can grow over seven feet in length! 4. My skin can range from thin and pale to dark and thick. 5. I am toxic when eaten raw, but perfectly safe when cooked. 6. I am known for my high content of vitamins A and C.
but it softens when baked. 8. My flesh can sometimes be purple! ANSWERS 1. Both. 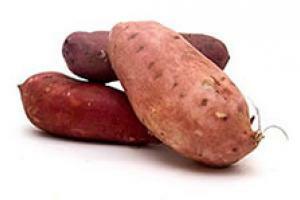 Sweet potatoes and yams are considered tuberous roots, and both are sweet and delicious. 2. Yam. Are you surprised? 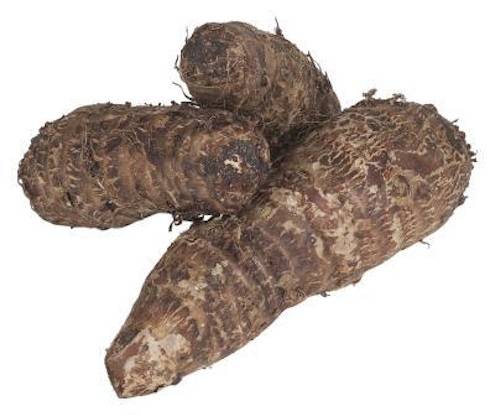 Yams grow in tropical climates, primarily in South America, Africa and the Caribbean. 3. Yam. They have a higher sugar content than sweet potatoes and can grow to be enormous! 4. Sweet potato. Paler skinned sweet potatoes have white flesh which is not as sweet and moist as the darker-skinned, orange fleshed sweet potatoes. 5. Yam. Unlike the sweet potato, yams must be cooked to be safely eaten. Preparation is a time-consuming process involving several minutes of pounding and boiling to remove toxins. 6. Sweet potato. 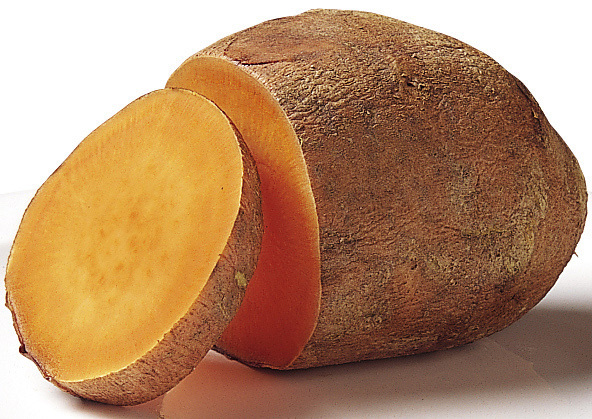 Yams do not contain as much Vitamin A and C as sweet potatoes. 7. Yam. Sweet potato skin is thinner and smoother. 8. Both. Purple Okinawan sweet potato is often confused with the purple yam called ube. 9. Sweet potato. It can be short and fat or long and thin, but it will always taper at the ends. A mix of realism, humor, tips and delicious recipes. I am a mother, wife, passionate sewer and registered dietitian. I want to show people that food is medicine and getting back in the kitchen is the key to health. I love everything about food: gardening, shopping, cooking and most of all, EATING! Notice that "dishes" isn't on that list.... Food isn't perfect. It nourishes our minds, bodies and souls! As a blogger, journalist, speaker and broadcast professional, I enjoy talking about food and nutrition for websites, television, radio, magazines, and newspapers. I also work with companies to provide customized nutrition education and recipe development. This entry was posted in On My Mind, Recipes and tagged Fall, sweet potato, sweet potatoes, Thanksgiving, tubers, yam, yams. Bookmark the permalink.